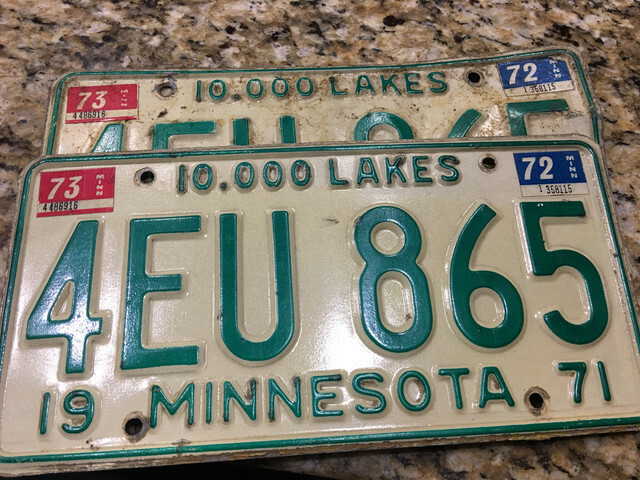 How perfect is it that 1971-1973 was a 3 year set for license plates in Minnesota?? These are going on the Mustang asap, came from grandpas farm and now they can live on! 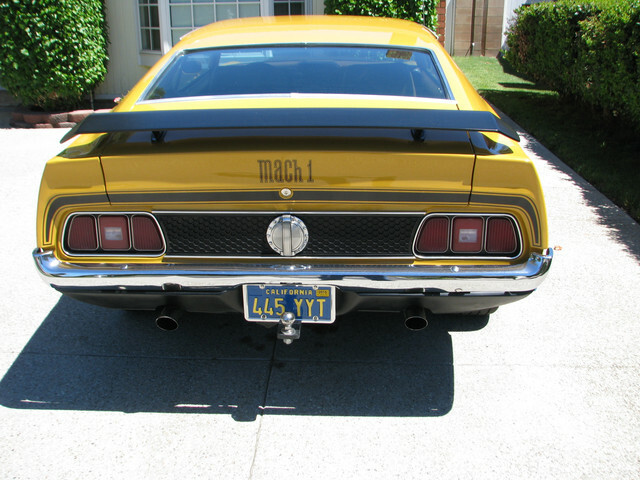 At some shows I would use a set of 1969 NY dealer plates on my 1969 Mach I, as it was sold thru the Larson Ford dealership in NY. 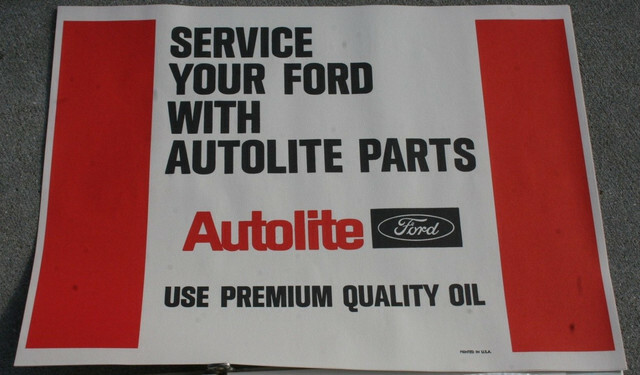 Along with window sticker and dealer paper service floor mats. (06-16-2018, 06:15 AM)rackerm Wrote: Very Cool! 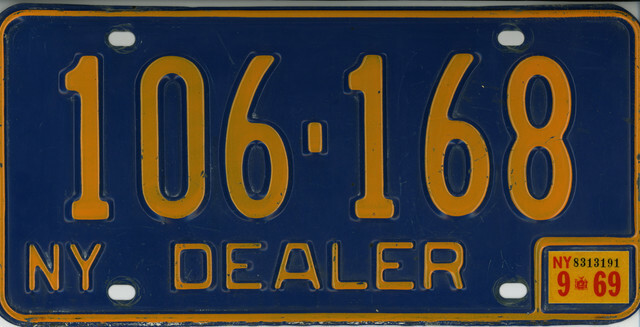 Does Delaware allow you to register original plates for everyday use on vehicles? Minnesota will as long as the number/letter combination isn’t already in used, and they have to be plates that match the vehicle year. I picked this up a few weeks ago.. Here in North Carolina if your vehicle is over 35 years old you can run period correct license plates. You just need your real plate inside the car if officer want's to see it. They are pretty cheap here sometimes. I think I got 1973 for $10.00. 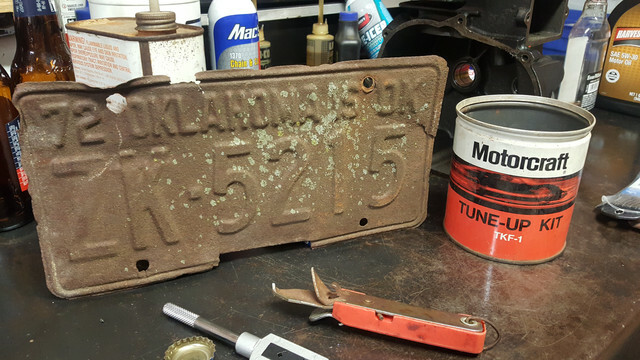 I have several 1950 fords and when prowling through boxes at a swap meet in Charlotte I found a matching pair of 1950 NC plates in great shape. I got for $10.00 but the great thing is that they are aluminum. I told a tag vendor at a show once that I had them and he said they had to be fake that NC did not use aluminum that far back. I went home and got them and he agreed they were real then wanted to buy them for $20.00 said they would not be worth as much as steel, lol. He is a plate dealer and had never heard of them and only 20, lol. They are hanging in garage. I also bought a box full of Penn. plates at a local flea market here. There were matching plates back to 1910 with porcelain coating. I gave $45.00 for whole box. I sold the porcelain ones for $200 a pair with market getting as much as $800 so made some people happy. The others went up into the 40's and matched pairs. Still have a bunch of them. Delaware does with restrictions on certain numbers, they call them black plates. People in DE pay big bucks for very low numbered plates. I have heard that some people have paid six figures to get a certain plate from their owner. 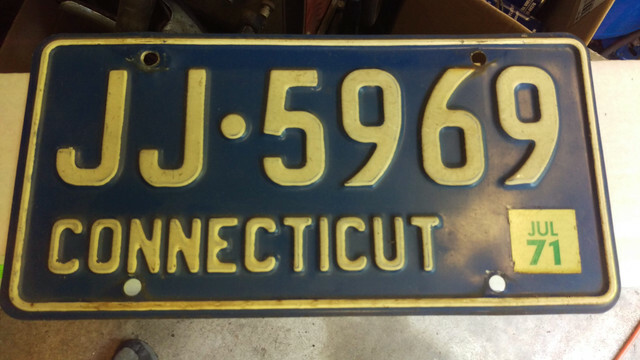 This plate came off a one-owner 71 Grandé I bought in the mid-90's. Today, I would be restoring that car, but back then it was just a parts car for it's mint black deluxe interior with console. I was able to remove all the old reg stickers back down to the first one. Sometimes I'll put it on to go to a car show and see if people notice. 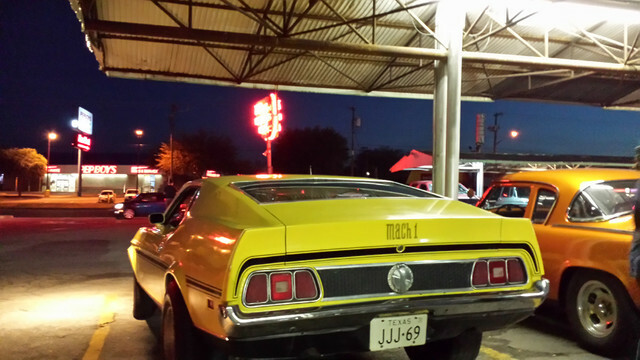 I've owned my '71 since buying it used in '90, and it came with the original plates which are still on it. I believe these plates started sometime in 1969 here in California.